Virgil van Dijk sees no cause for concern after Liverpool were held to a 1-1 draw by Leicester City. Wednesday’s result extended the Reds’ lead at the top of the Premier League, but the fact that advantage now stands at five points when it could have been seven meant there was a minor sense of deflation around Anfield at full-time. However, the outcome - brought about by Harry Maguire equalising Sadio Mane’s third-minute opener - has not affected Van Dijk’s calm disposition. “Disappointment is not the right word,” the centre-back said. “We started amazingly with the goal from Sadio and then it was a tough game against a good opponent. “We don’t need to forget that as well, they are just a good team and we were unlucky that we didn’t win. “We just kept pushing, we were on the front foot, we had our dangerous moments, and obviously we were looking for the second one. But they scored in the last couple of seconds of the first half which was a bit frustrating, especially how we conceded. “We gave the free-kick away unnecessarily and then obviously stepped forward and it was not offside. It was a bit all over the place and something we have to look at. “The pitch was horrendous. It was full of ice but they need to deal with that as well. We had most of the ball and it was difficult to break them down. At times we were dangerous but in the end it wasn’t enough to score a goal. Manchester City’s defeat to Newcastle United 24 hours earlier opened up an opportunity for Liverpool to elongate their lead at the top by another three points. But Van Dijk insisted no attention was paid to Pep Guardiola’s side’s loss within the Reds’ squad. “That’s not something that we focus on,” the Netherlands captain stated. “We were just preparing for the game and nobody talked about the City result. 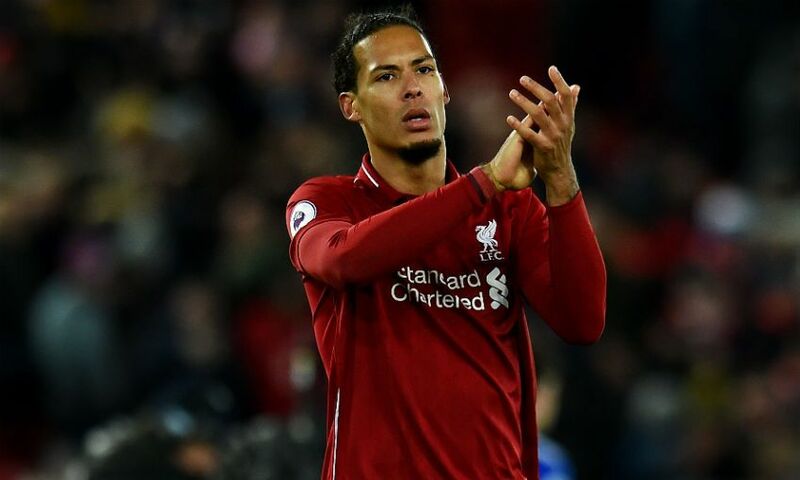 Van Dijk went on to urge all associated with Liverpool to remain together and composed with 14 Premier League games left to play. The No.4 continued: “Obviously everyone wants to win so bad and that’s what we want as well but sometimes you need to be very patient.